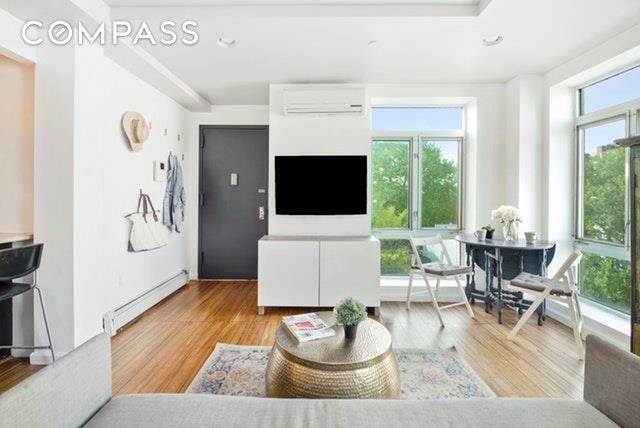 Welcome to 117 Kingsland Avenue, Penthouse C. This 2-bedroom, 2-bathroom home has the perfect balance of indoor/outdoor living rarely found in NYC apartments, featuring a duplex layout and 3 incredible private outdoor spaces. The apartment is ideal for those looking to heighten their lifestyle. With large balconies off the living room and master bedroom and an extra-large private rooftop terrace, this home offers over 700 SQFT of combined outdoor space. The duplex layout separates both bedrooms and give the household a sense of privacy. The master bedroom can fit a king sized bed set, with the second bedroom comfortably fitting a queen bed set. The home has 2 full bathrooms, one of which contains both a soaking tub and standing shower, and the second is a master en suite. This apartment also features stainless steel appliances, open concept kitchen, granite countertops, washer/dryer in unit, and double exposure from the interior looking south and west.The private rooftop terrace offers views to the South, East, and West, and lends itself well for outdoor grilling and hosting.117 Kingsland Ave is equidistant to both L/G trains, and walking distance to McCarren and McGolrick Parks. 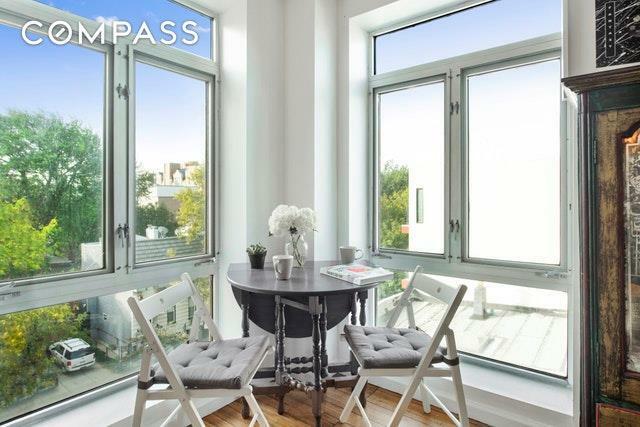 Cafes and restaurants are within minutes from your doorstep, with Greenpoint just a few blocks north, and Metropolitan Ave directly south.With a tax abatement in place until 2025, this penthouse apartment offers some of the lowest monthlies in Greenpoint/Williamsburg, making it ideal for both primary residence or investor. 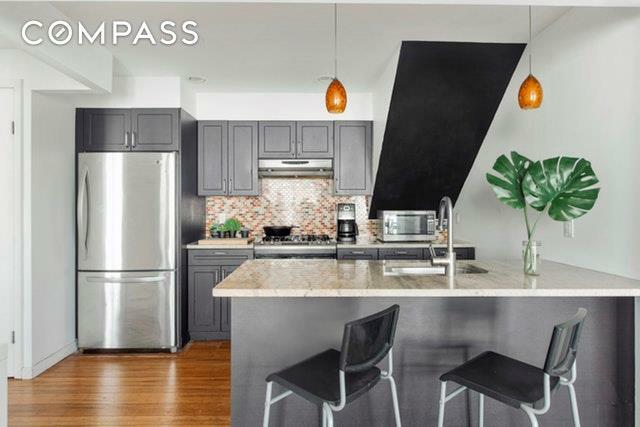 A walk-up condominium, this home is pet friendly, offers free bike storage for residence, and subletting is allowed immediately upon purchase. 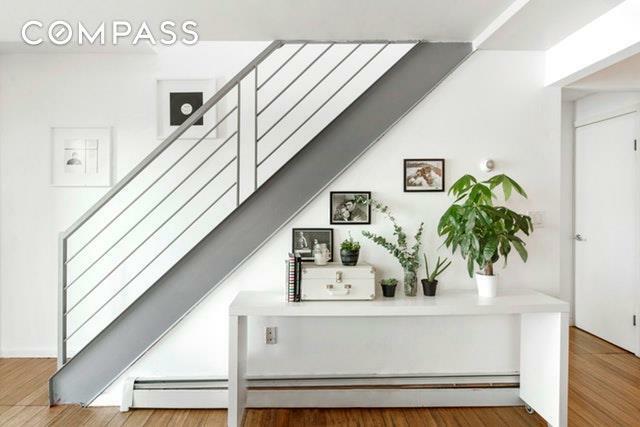 Listing courtesy of Alexandra Newman of Compass.